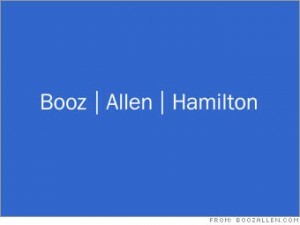 Booz Allen Hamilton Holding Corporation (NYSE:BAH) was in 6 hedge funds’ portfolio at the end of the fourth quarter of 2012. BAH has seen a decrease in hedge fund sentiment recently. There were 6 hedge funds in our database with BAH holdings at the end of the previous quarter. If you’d ask most stock holders, hedge funds are perceived as worthless, outdated financial vehicles of the past. While there are over 8000 funds trading at the moment, we at Insider Monkey choose to focus on the bigwigs of this group, around 450 funds. Most estimates calculate that this group controls the majority of the smart money’s total capital, and by paying attention to their best picks, we have brought to light a number of investment strategies that have historically beaten Mr. Market. Our small-cap hedge fund strategy beat the S&P 500 index by 18 percentage points per year for a decade in our back tests, and since we’ve started sharing our picks with our subscribers at the end of August 2012, we have outperformed the S&P 500 index by 24 percentage points in 7 months (see the details here). Just as beneficial, bullish insider trading activity is a second way to parse down the world of equities. Just as you’d expect, there are lots of reasons for a corporate insider to get rid of shares of his or her company, but just one, very obvious reason why they would initiate a purchase. Various academic studies have demonstrated the market-beating potential of this strategy if “monkeys” understand where to look (learn more here). Consequently, let’s take a look at the key action encompassing Booz Allen Hamilton Holding Corporation (NYSE:BAH). How are hedge funds trading Booz Allen Hamilton Holding Corporation (NYSE:BAH)? At the end of the fourth quarter, a total of 6 of the hedge funds we track were long in this stock, a change of 0% from the third quarter. With hedgies’ sentiment swirling, there exists a few key hedge fund managers who were increasing their stakes significantly. According to our comprehensive database, Gotham Asset Management, managed by Joel Greenblatt, holds the largest position in Booz Allen Hamilton Holding Corporation (NYSE:BAH). Gotham Asset Management has a $10 million position in the stock, comprising 0.6% of its 13F portfolio. Sitting at the No. 2 spot is Israel Englander of Millennium Management, with a $1.2 million position; less than 0.1%% of its 13F portfolio is allocated to the stock. Some other peers that are bullish include Neil Chriss’s Hutchin Hill Capital, Paul Tudor Jones’s Tudor Investment Corp and Steven Cohen’s SAC Capital Advisors. Due to the fact that Booz Allen Hamilton Holding Corporation (NYSE:BAH) has witnessed bearish sentiment from hedge fund managers, logic holds that there exists a select few hedgies that elected to cut their entire stakes last quarter. At the top of the heap, Chuck Royce’s Royce & Associates said goodbye to the largest stake of all the hedgies we monitor, valued at close to $4 million in stock., and Jim Simons of Renaissance Technologies was right behind this move, as the fund sold off about $0.8 million worth. These moves are important to note, as aggregate hedge fund interest stayed the same (this is a bearish signal in our experience). How are insiders trading Booz Allen Hamilton Holding Corporation (NYSE:BAH)? Insider purchases made by high-level executives is best served when the company we’re looking at has seen transactions within the past 180 days. Over the latest six-month time frame, Booz Allen Hamilton Holding Corporation (NYSE:BAH) has experienced zero unique insiders buying, and 8 insider sales (see the details of insider trades here). Let’s check out hedge fund and insider activity in other stocks similar to Booz Allen Hamilton Holding Corporation (NYSE:BAH). These stocks are Corrections Corp Of America (NYSE:CXW), Huron Consulting Group (NASDAQ:HURN), Accretive Health, Inc. (NYSE:AH), FTI Consulting, Inc. (NYSE:FCN), and The Corporate Executive Board Company (NYSE:CEB). All of these stocks are in the management services industry and their market caps match BAH’s market cap.